A Few Scraps: Wild Quilting is here! Hello everyone! I landed late last night from QuiltCon and today I get to jump right into announcing my new class from Craftsy, Wild Quilting. Such an exciting quilting life! First things first, I know some of you have been really excited for this one, so I have a link for my followers: click here to take the class for $20 off! I have to tell you, this is absolutely my favorite class I've done with Craftsy. It was my favorite class I taught at QuiltCon too. Maybe that's because I love wild, organic, unpredictable quilting so much. Or maybe because I know how many of you are aching to make your quilting more expressive and interesting. Either way, I'm so excited to see what you all do with it! If you look at complex quilting and don't know where to start, this is the class for you! As you probably already know I love making complicated things simple and straightforward, and that's exactly what I've done in the seven lessons of Wild Quilting. Let me give you the confidence to start doing more with your quilting. Even if you don't want to use all the techniques together you can still use the individual techniques in your quilting to make unique, personal finishes for your quilts and projects. I can't wait to hear what you think of it! Thanks for taking the time to read about it!! Happy Wild Quilting everyone! Congrats, Christina. It's a whirlwind of wonderful that has you popping up all over sharing your talent. I can't wait to start the lessons tonight! It looks delightful! I have added it to my wishlist so that when I have some extra funds I can take it. I love, love, love, the samples posted for the class...especially the one with the ribbon piecing that is echoed (in a way) by the quilting. The "ladder ribbon" that runs off it and the combination of designs makes me want to do a mostly whole cloth piece. I can't wait to get home tonight so I can start watching and quilting. Thanks for the great discount! Congrats on all your Craftsy success. Congrats on the class I have add it to my wishlist when I have extra funds will get it. Love your work, thanks for the great discount! Congratulations!! (And I'm so glad I was able to get a hug at QuiltCon). Congratulations, Christina! I've been looking forward to this class - I can't wait to check it out!! Woooo Hoooo Christina! The class looks exciting and fun! I... erm... still have not learned how to do FMQ but i want to buy the class anyway! Thank you so much for the discount offer to your followers, too! You look so beautiful in the pics too - this way i get to "visit" with you in your lessons and follow along, even if i never even master mediocrity with FMQ, ha! LOL, I really loved reading through your comments. madhappycrafter made me laugh and identify with her and her "mediocrity with FMQ". Christina you got me even more psyched for your class! It looks and sounds wonderful and those quilting examples are gorgeous! I thoroughly enjoyed this Craftsy class and look forward to practicing your fun techniques in the very near future. Everything you did was explained very clearly, including your motivation. Congratulations for a job well done. Just signed up with the link, thank you! I can't wait to get started! Your quilting is gorgeous! I went to your blog the other day to choose a design for my drunkard's path quilt. I chose the topography design. So....yesterday, I went back to your site to show a friend of mine the design and saw that you had a new class! I bought it immediately. I watched the whole thing this morning. I loved it! I liked all of your thorough explanations and demonstrations and that you showed how we could incorporate them on a large quilt. I can't wait to get started on that, after I finish the drunkard's path! Hi...the class IS amazing...I learned so much. Your smile and ease of teaching makes the class especially enjoyable....and fmq should be fun! Right? Right! !Thanks again for the discounted rate...it was appreciated. 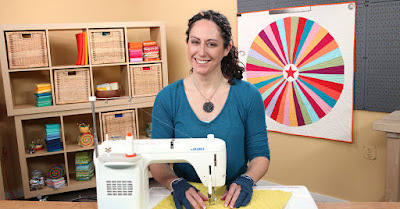 eeep hope you had a ball at Quiltcon - look forward to taking this class on Craftsy ! I started your class this week and it is really great! There is something about the way you teach that is so darn refreshing and I love your FMQing! Hi Christina, I love your Wild Quilting class on Craftsy. I've watched it twice already and have incorporated some of your ideas into my FMQ. Thanks! You make it look so easy, and what a great way to learn without leaving home, watch and stitch , I can see this would be marvellous for me. That looks like a wonderful class.I never did machinequilting till now, but want to learn it in the future. So lets see, the great thing with craftsy classes is, that i can do it whenever I will be redy for it, lol! wow this sounds like a fantastic class. thanks for offering. it is on my wishlist. Your quilting is amazing. I have this class on my wishlist! Congrats on your class in craftsy. Your quilting is beautiful. Free Motion Quilting is my goal for this year and your class looks very interesting. What a wonderful idea, to combine easy to learn quilting patterns into awesome one-of-a-kind quilting! I'm jumping over to Etsy to check it out now! Think I need your first class before trying this one! lol Am new to FMQ... so saved to my "Gotta Have List!!" I've not actually taken a Crafty class (I may have bought one and not watched yet...), but I am definitely interested in your Wild Quilting class. Thanks. looks like a great class. I'll go check it out! Wow, that is some amazing quilting! Hi Christina: I love your quilting and follow your blog. I'm here today to comment for this week's Buzzin Bumble blog ~ I really enjoyed the info and inspiration all the bloggers shared during this hop. Sounds like a great class and it's on my wishlist. I wonder if you'll be covering how to quilt around appliques - like when I use Lara Buccella's new applique method. Congrats on another great class Christina! Your free motion quilting is always so neat! I'm visiting from Lara's shout out post. I really should be practising my FMQ soon, such lovely inspiration from your "Wild Quilting"! 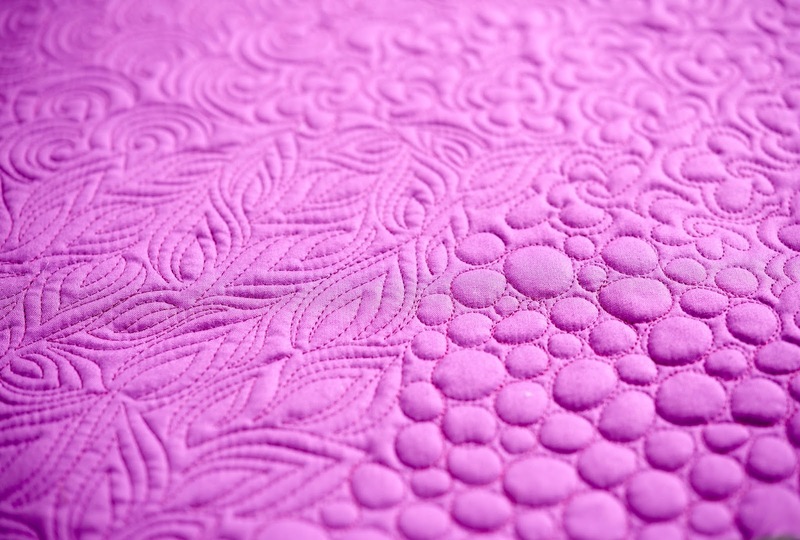 I need to commit the time to take this class so I can learn how to do beautiful FM quilting! I love your quilts. They are beautiful. I am just getting started on quilting. We are learning as a group at the VA where I volunteer so I am looking for ideas. Thanks you have given me a lot of them. A peek at my class! And a chance to take it free!